Greek politicians reacted on Monday to the death of former prime minister and president of New Democracy, Konstantinos Mitsotakis, by offering condolences and expressing their feelings about his legacy and death. “A great [man] has gone. Greece would be a better country today if it had paid more attention to him,” New Democracy vice president Adonis Georgiadis tweeted. EU Commissioner for Migration, and former conservative minister Dimitris Avramopoulos, described Mitsotakis as a “great leader with a sense of wisdom, realism, national responsibility, intuition and political courage,” adding that his legacy had sealed the country’s postwar history. Stavros Theodorakis, leader of the centrist To Potami party, also extended his condolences to Mitsotakis’s family on Twitter. 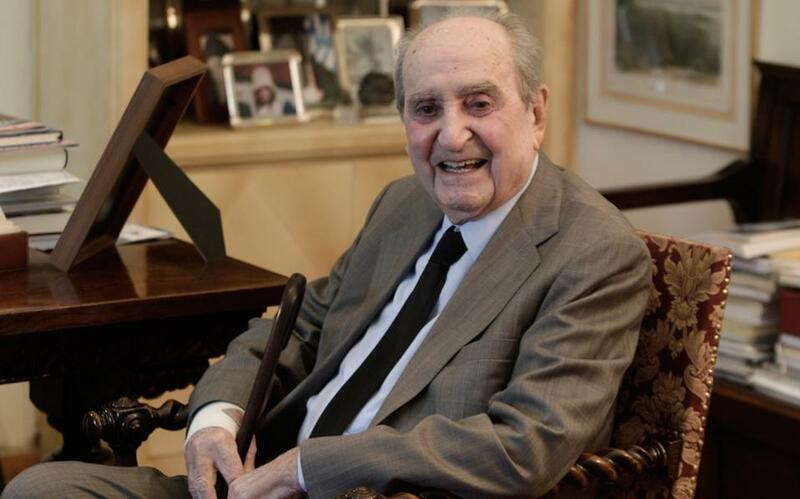 Mitsotakis passed away early Monday at the age of 99. He served as prime minister between 1990 and 1993, a brief spell during two decades dominated by his Socialist rivals. He retired from active politics in 2004 but remained honorary chairman of the center-right New Democracy party.